Имате въпрос към Gwodoo Hotel? Разположен на централно място в Център Кийлунг, Gwodoo Hotel е идеално начало за Вашaта екскурзия из Килунг. Разположен на 0.1 km от най-вълнуващите части на града, този 2-звезден хотел притежава отлично местоположение и осигурява лесен достъп до най-големите забележителности. За тези от Вас, които търсят приключения, Keelung Miaokou Night Market, Dongan Night Market, Нощен пазар Miaokou са само част от местата, които са достъпни за посетители. Прави се всичко възможно гостите да се почувстват удобно. Затова хотелът предоставя най-добрите услуги и удобства. Гостите на хотела могат да ползват съоръжения като безплатен WiFi достъп във всички стаи, таксиметрови услуги, индивидуално настаняване/напускане, доставки на хранителни стоки, ежедневно почистване. Gwodoo Hotel разполага с 15 стаи, които са обзаведени с вкус. Много от тях предлагат удобства като безжичен интернет достъп (безплатен), стаи за непушачи, климатик, бюро, вентилатор. Освен това в хотела можете да се възползвате от множество предложения за приятно прекарване на свободното време. Насладете се на несравнимото качество на услугите и престижното местоположение на Gwodoo Hotel. The room was old uncared for and not at all like the pictures. The bed was hard and uncomfortable like sleeping on a board of wood. There was graffiti over the peeling wallpaper that was dirty. Lining did not smell clean so I kept my clothes on. Shower holder was broken not that I was brave enough to shower here. Hot water took a long time to splutter out of the sink tap. Toilet leaked, sink was slow to drain. Very noisy. Taxi drivers can't find the hotel so wait on the main street as it's tucked away but should be demolished. Worst hotel I've ever stayed in and prices were hiked on Agoda compared to advertised prices on the desk. To be honest I would have not put a homeless person in this poor excuse of a hotel. Positives are location for the night market. Hot water machines. That's all I can think of. 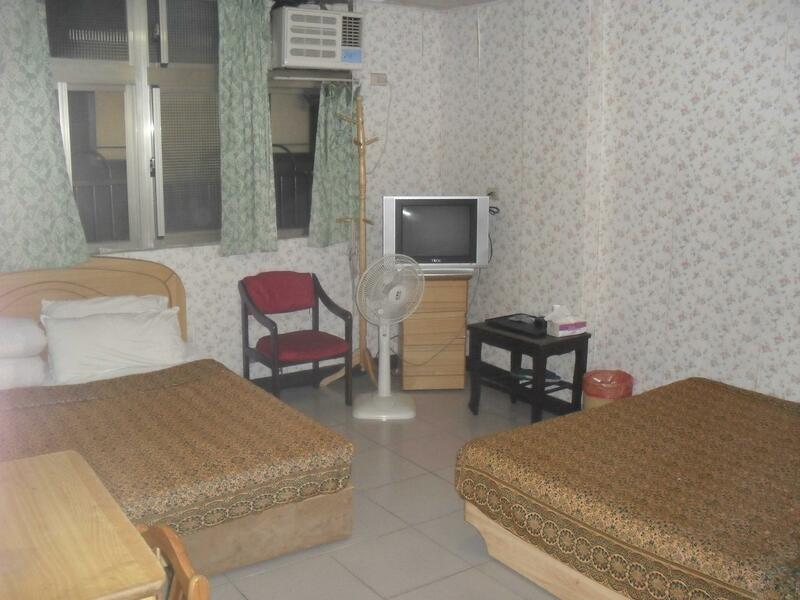 My advice is spend extra money on a taxi and stay at a budget hotel in another area of keelung. It's not expensive, It's central. It has a bed and that is the good part. Personal don't speak english, there is water leaking out on the bathroom floor, if you are brave enough to use the shower there is no tower. There is no AC or safe, in short you get what you pay fore. This is certainly a budget hotel. I was only staying one night and would leave before sunrise the next day, so all I needed was a shower, bed, and a/c. That's about all it had, so it was fine for me, although the bed was quite hard. Kind of noisy, but afterall, it is near a night market. Front desk clerk was nice. Gwodoo hotel more like the voodoo hotel. the hotel was dirty and creepy, as soon as you get in I got the willies from the staff and its surroundings/ambiance. We were lucky enough to escape with out any spells or witch craft thrust upon us during our stay (not all visitors are as lucky). the voodoo hotel was dirty and weird but it is possibly the cheapest stay in keelung and that is its redemption. the linens, sheets and blankets etc. 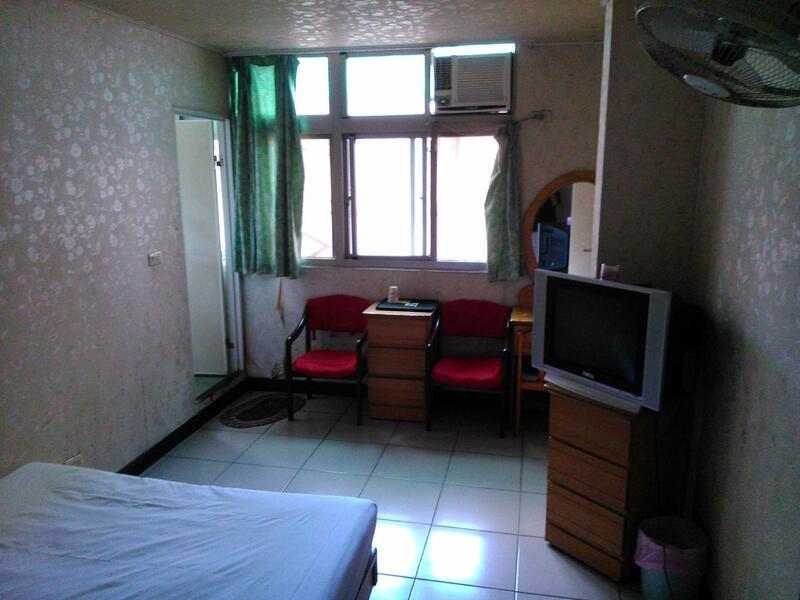 were all though old but clean, and the staff did their best to communicate with us, and it is very centrally located to train/bus station and night market. over all if budget is your bottom line and its not your first rodeo the voodoo hotel is fine for a night or two but really no more. Last minute booking. Not too far from Temple Street Night Market. Alright for 2 male travellers who just need a place to clean up and rest. very cheap....maybe on normal days I won't come here....but in 12/31....and still cheap like this...I really can't complain....other places were 5~30 times expensiver than this one. No good... air con no cold ... need to switch on the wall fan to get good ventilation. Got cigarrate smell in the room. Near to train station, night market. Stay was fine for a night. Outdated but relatively clean. Good location. Was travelling with my 2 best friends and booked a quard room and knowing is a back packers hostel. Not much of high expectation. However, owner is so kind to let us keep our luggage until evening. I apologize for this short review. But I wouldn't want to waste my time going into all the fine details of why you guys should stay away from this place. Door doesn't close well unless you kick or push hard. All the walls has COUNTLESS dead corpse of mosquitoes. It's a never ending battle in the room. The bathe room is... bad, just really bad. Etc, etc, ETC. I have never ever rated any room 0/10. I just did. Even if I am forced to give Gwodoo points, it's where they are located. Right smack in the middle of the night market area. Peace out. The room was very noisy, marginally clean, but cheap.